Hey Curvies! 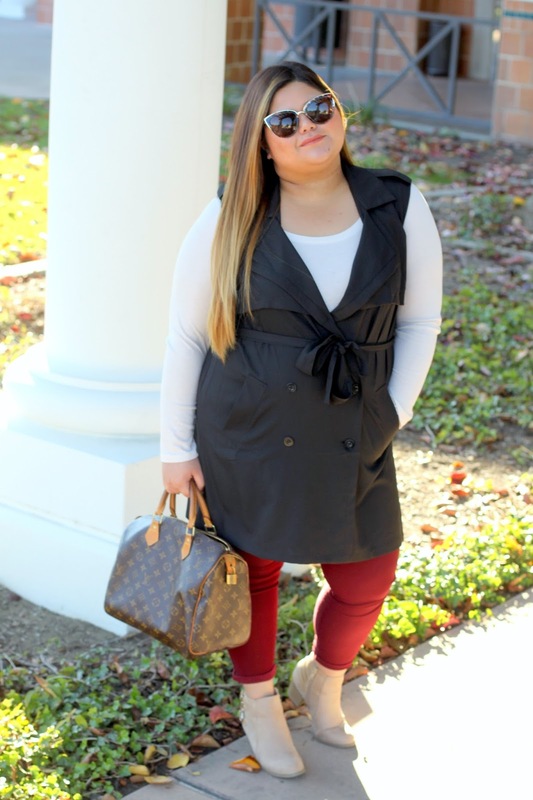 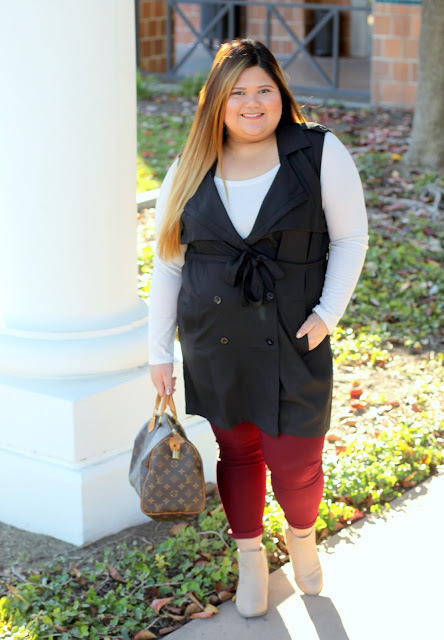 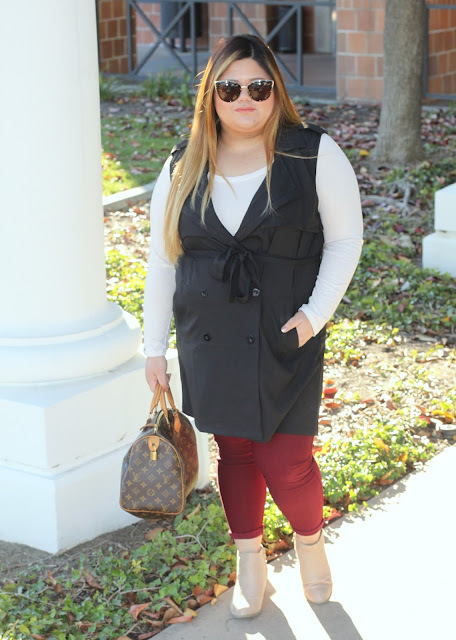 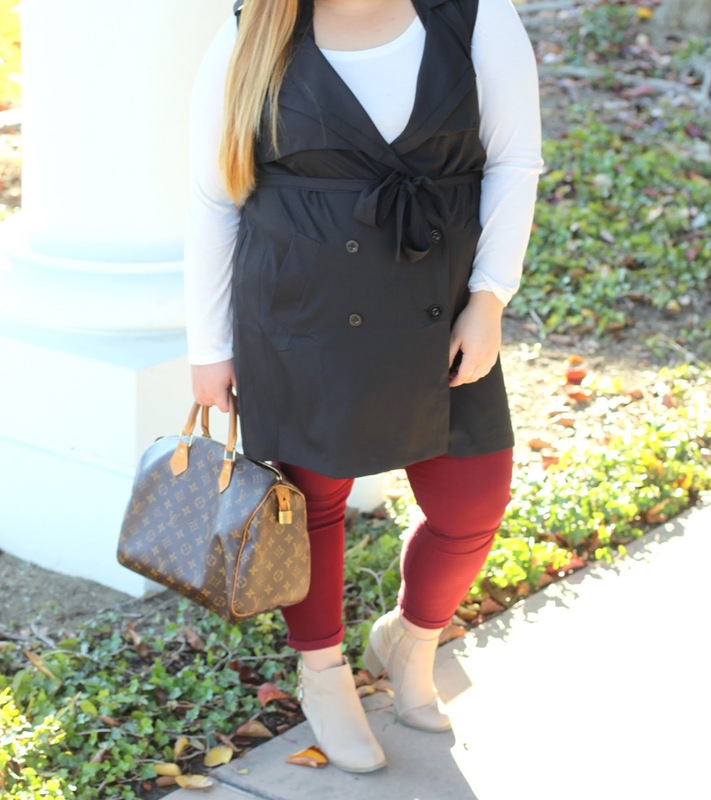 Happy Monday..Here's a quick fall fashion restyle with this sleeveless trench/vest. Basic long sleeves and jeggings spiced up with this trench/vest makes a whole new stylish fall outfit. 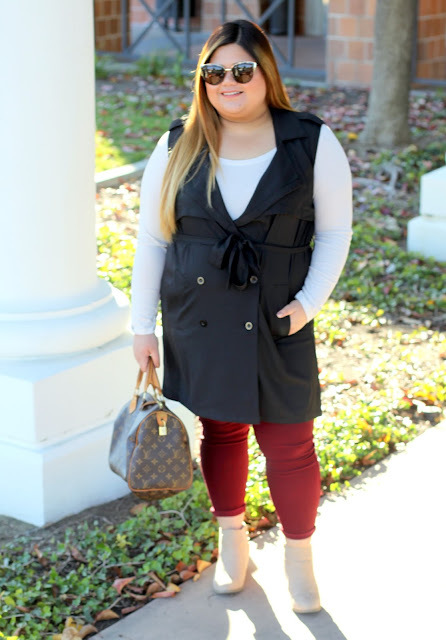 Quick and Easy styling tip for that I don't know have time days.LOL. See how I styled it with a sweater dress from my recent blog post Here.